The enduring holiday classic, lavishly illustrated by multiple Caldecott Medalist Trina Schart Hyman, is now available in a gift edition for a new generation of readers. Dylan Thomas (1914–1953) is considered to be one of the greatest 20th-century poets. He is especially remembered for "Do not go gentle into that good night" and "And death shall have no dominion." 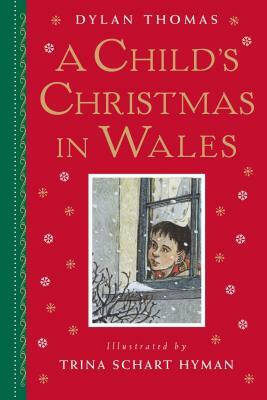 He was also a popular radio broadcaster in England, and A Child’s Christmas in Wales was written for radio. One of the most distinguished and celebrated illustrators of her generation, Trina Schart Hyman (1939-2004) was awarded the Caldecott Medal for St. George and the Dragon, retold by Margaret Hodges, and Caldecott Honors for A Child's Calendar, by John Updike, Hershel and the Hanukkah Goblins, and Little Red Riding Hood. Born in Philadelphia, she lived most of her life in New Hampshire.